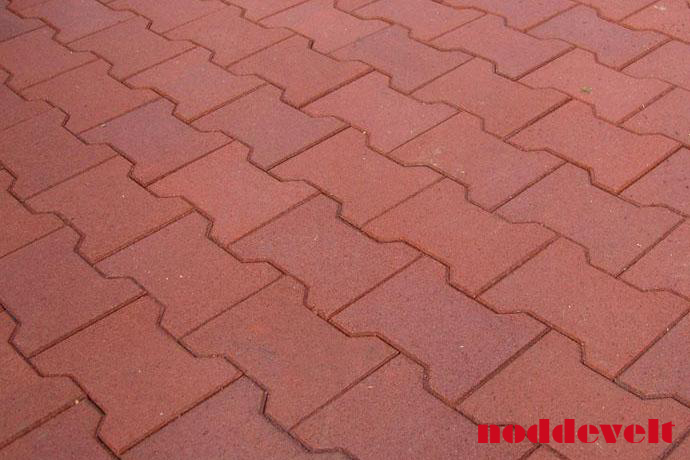 This rubber H-brick / tile length 20cm, width 11.5-16.5 and height 4.3cm is available in red and black. These porous rubber granule H-bricks are bonded with polyurethane. The H-bricks are wear resistant, water draining, non-skidding, sound dampening and resistant to a certain amount of pressure when turning around. 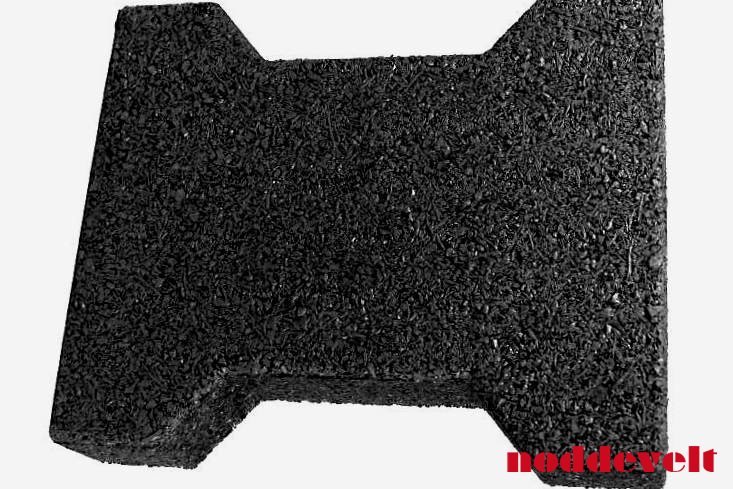 These rubber granule H-tile has a good non slip property, both in dry and wet state. The double connection guarantees a good and stable position. If necessary, they can be placed directly on compacted yellow sand. The rubber stone can be placed on any hard surface, if necessary. 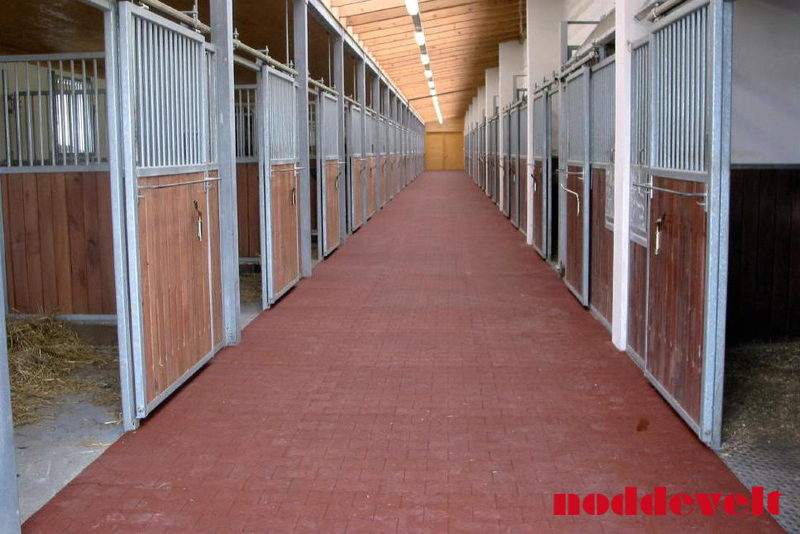 They are highly suitable to use in stable aisles and grooming bays. With loose rubber H-bricks you are more free to place them than with rubber mats. 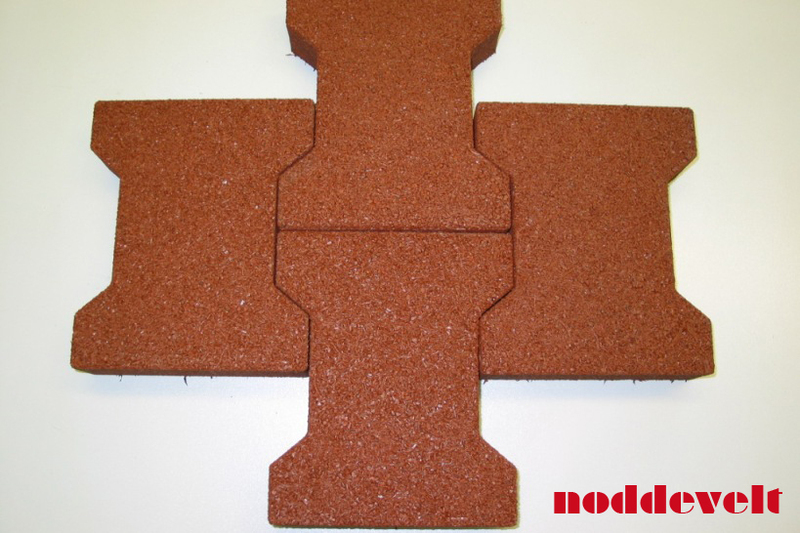 The rubber bricks can also be placed in combination with concrete H-bricks. The rubber H-tile gives a nice appearance to your stable. Wash bays, horse exercisers, walk ways, loading and unloading areas, service stations and stable aisles. Price on request, depending on use of performance and compression.